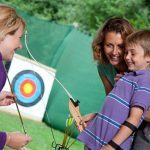 Exclusive holiday lodge park bringing something amazing to Somerset! Cheddar Woods Resort & Spa is an Enjoy England 5 Star Gold Rated holiday lodge park set on an elevated, sloping hill looking down on a picturesque reservoir and rolling Somerset hills, just a short drive from the famous Cheddar Gorge. This new and exclusive development brings a whole new holiday lodge experience to Somerset. Cheddar Woods’ leisure and entertainment facilities have been designed to blend in with the surrounding landscape and feature a natural grass roof which contributes to the parks ‘green’ credentials, reducing its carbon footprint. 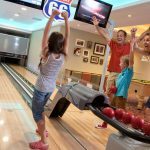 Inside you will find superb dining and entertainment facilities, a state of the art golf simulator, a tropically heated pool, gymnasium, sauna, steam room along with a spa offering a range of relaxing therapy treatments. 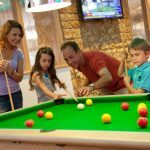 All in all, the facilities on offer to lodge owners will provide everything a discerning holiday lodge owner could wish for. 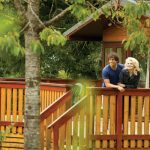 Cheddar Woods Resort & Spa is the newest park to be launched by Darwin Escapes, who have transformed a former tenting and touring park to provide the area of Cheddar with a top of the range holiday setting. 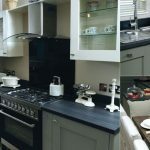 The Darwin team have worked in close partnership with some of the finest lodge manufacturers in the UK, which have been carefully selected for their expertise in building lodges of distinction. 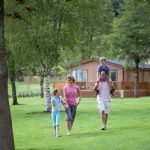 Each lodge plot offers private parking, beautifully paved entrances and generous landscaped gardens, which have been sympathetically laid amongst established groups of trees. 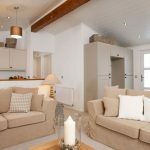 Internally, all of the available lodges come with state of the art wireless internet capabilities and fibre optic connections to keep in touch with the latest technologies available. 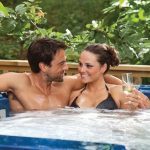 For an additional charge, lodges can be purchased with hot-tubs, perfect for that romantic break in the most beautiful woodland setting. 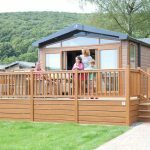 Purchasing a holiday lodge at Cheddar Woods gives you a chance to own the getaway of your dreams, giving you full use of all Cheddar Woods’ facilities for 11 months every year. Choose from a wide range of luxurious, prestigious lodges from only £79,995, with finance packages available.